Shah Rukh Khan posted pictures with Mesut Ozil and his fiancee Amine Gulse. 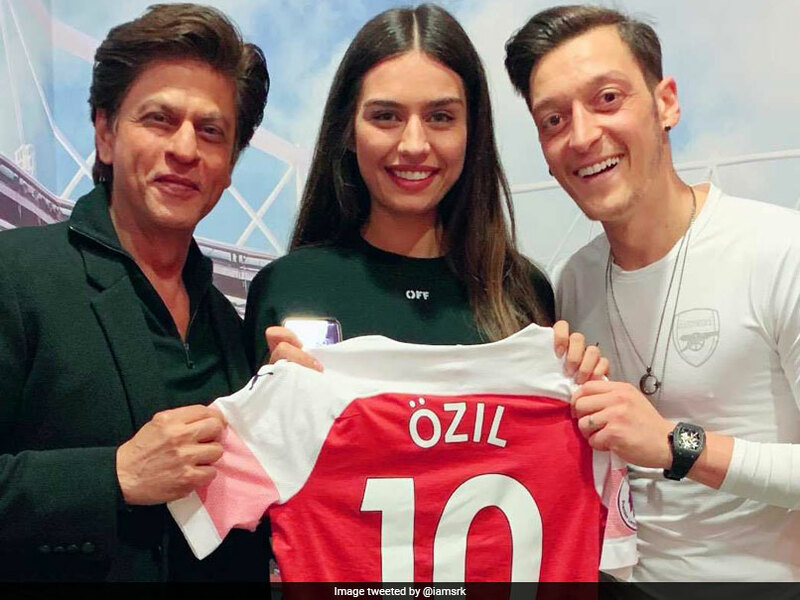 Shah Rukh Khan sent Twitter into frenzy after posting pictures with Premier League club Arsenal's star midfielder Mesut Ozil and his fiancee Amine Gulse. 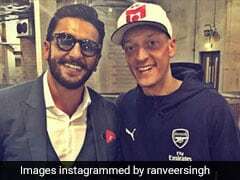 The Bollywood superstar posted two pictures -- one with Mesut Ozil and the other with Amine Gulse -- and in both Shah Rukh Khan is seen holding up the Arsenal footballer's famous No.10 jersey. "What a lovely evening @Arsenal congratulations. Thx @MesutOzil1088 & #AmineGulse for your warmth love & hospitality. See u guys soon in India," wrote Shah Rukh Khan in his Twitter post. Mesut Ozil was in action on Monday night with Arsenal hosting Newcastle United at the Emirates Stadium. Aaron Ramsey and Alexandre Lacazette was on the scoresheet as Arsenal eased to a 2-0 win to climb to third spot in the Premier League. 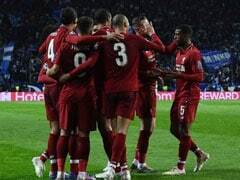 Unai Emery's side climbed two points above fourth placed Tottenham Hotspur and fifth placed Manchester United to bolster their chance of qualifying for the Champions League via a top-four finish with seven games to go. 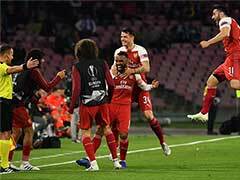 The future still looks bright for Arsenal, who recorded a 10th consecutive home league victory for the first time since December 1997 to May 1998.